Natural Organic Hair & Beauty from Lush Duck. The lovely Amanda from Lush Duck kindly sent Mymummyspennies a selection of their products for our family to use. We were sent a variety of samples with products for the whole family to use. 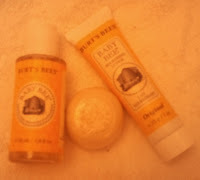 The first samples we tried were from the Burt's Bees' range. Burt's Bees are a leading manufacturer of Earth-friendly natural personal care products, they are committed to the environment with recycled and recyclable packaging and nature-safe manufacturing processes. 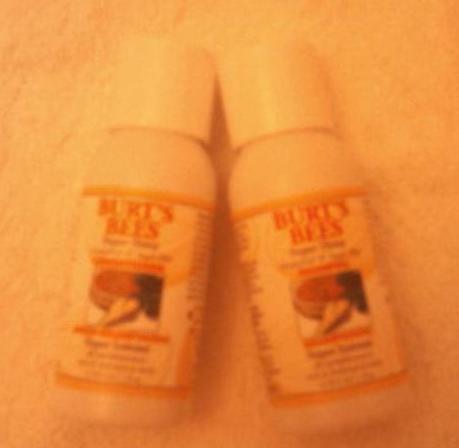 Their products range from body & skin care, to baby care & outdoor treats. We were sent a selection of the Burt's Bees products that Lush Duck offer, including the super shiny Grapefruit & Sugar Beet shampoo and conditioner from the hair care range and the buttermilk soap, shampoo & wash and nourishing lotion from the Baby Bee range. The Burt's Bees sulphate-free shampoo is loaded with essential citrus oils blended with gentle plant-based cleansing complex to create a natural and effective shampoo which with the complementing conditioner, not only made my hair look softer and shinier that it had for a while but it also smelt divine! All this from products that only use natural ingredients! My children tend to share a bath (easier for me and more fun for them!) so I used the Baby Bee products on both my 9 month old daughter and my 3 year old son Ben. The all in one shampoo and body wash had a gentle but pleasant scent (kind of coconutty!) that I was comfortable using on even my daughter's very sensitive skin. It lathered up well and left both my childrens' hair and skin feeling silky soft. The nourishing lotion was ideal for moisturising the little ones skin after bathtime and it smelt so good I even saved some for myself! As well as the Burt's Bees' samples we were also sent a sachet of A'kin Very Gentle Unscented Conditioner which is a deeply soothing, wheat free, fragrance-free conditioner perfect for adults, children and babies with sensitive and irritated scalps, and a great natural treatment for cradle cap! Although Elizabeth has never suffered with cradle cap as badly as Ben did when he was her age, she does get it on occasion and it's lovely to have a gentle natural product to treat it rather than one filled with a long list of ingredients including sulphates and parabens. We were also sent a sample of Lavera all round moistening cream for men which is even suitable for vegans. My husband used this after shaving (under protest as he's not really one for lotions and potions) and even he admitted how smooth it made his skin feel! 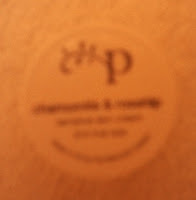 The last sample we were sent was of Pai chamomile & Rosehip sensitive skin cream. Pai Natural Organic Skin Care offers this luxury face cream which is designed to be kind and gentle making it a perfect choice for sensitive skin or people that maybe prone to skin allergies. None of Pai skin care products contain synthetic chemicals or artificial fragrances that can cause dry or irritated skin reactions. I decided to ask my mum to try this sample for me as she has always had very sensitive skin and in the last few years has been suffering from Rosacea which is a common disorder of the facial skin that can be irritated by many skin creams, even those marketed at 'sensitive skin'. This is a real shame because I have always enjoyed treating her to a 'luxury' face cream for birthdays and mothers day. My mum was thrilled that after using this cream over three days it did not cause her skin to flare up at all! She also commented that it smelt lovely and felt very light, left her skin extremely smooth with a nice silky feeling. She has already decided this is what she would like for Christmas! The Mymummyspennies family have really enjoyed using these products and I will certainly be using them again in the future. All of the products mentioned are free from SLA'S, paraben's and toxin's and contain only natural, and mostly organic ingredients. This makes me feel good about using them on my familys' delicate skin, knowing I'm not causing damage with added 'nasties' that many hair and beauty products contain. I was surprised at the extensive range of hair & beauty products for the whole family sold by Lush Duck. This is not just a site to buy your luxury skincare but also the essentials that you use every day! Although not 'cheap,' the natural hair and beauty products that Lush Duck offer are very competitively priced and they offer gift vouchers, gift packs and run special offers from time to time so be sure to keep an eye out for some great deals! You can also follow Lush Duck on Twitter – another great way to be kept up-to date with the latest news and info. We are so pleased you liked the products, thank you for a wonderful review. organic hair products have the obvious benefit of being environmentally friendly.